Trailing her opponents significantly in campaign cash and endorsements at the start of 2019, few would have predicted Lori Lightfoot would coast to victory in the Chicago mayoral runoff. But the city deeply divided along racial, geographic and economic lines united in its discontent with the status quo Tuesday night, electing an openly gay, female African-American who’s never before held elected office, who cast herself as a reform-minded outsider. Lightfoot defeated Cook County Board President Toni Preckwinkle, the chairman of the county’s Democratic Party, by receiving a stunning 74 percent of the vote, according to unofficial results as of 10 p.m. Tuesday from the Chicago Board of Elections. To win, Lightfoot expanded upon her liberal, progressive base stretching north along the city’s lakefront by broadening her support in three divergent camps -- in Hispanic wards on the city’s West and Northwest sides, in largely white wards packed with Chicago police and firefighters on its fringes, and in black wards on the city’s South and West sides unhappy with Preckwinkle’s 2017 push to tax sweetened beverages. The Center for Illinois Politics spent time this week crunching voter data and interviewing community leaders in each of those key voting blocs, which prior to the mayoral runoff, each backed other candidates. Here’s how Lightfoot did it. In the city’s Feb. 26 general election, eight wards in heavily Hispanic areas all voted overwhelmingly for Illinois Comptroller Susana Mendoza or former Illinois Board of Education Chairman Gery Chico. In Tuesday night’s election, 75 percent of voters in those wards chose Lightfoot over Preckwinkle. While residents in these wards have traditionally felt ignored by many candidates and the mayor’s office, Lightfoot tried to garner support in the area by releasing a Spanish language-ad featuring Jesus “Chuy” Garcia. The $90,000 Telemundo and Univision ad buy showed Lightfoot and the newly-elected Congressman -- who challenged current Mayor Rahm Emanuel in a 2015 runoff - walking and chatting with various Latino residents. It closes by calling for “prosperidad for todos los barrios,” which translates into prosperity for all the neighborhoods. The race appeared uninspiring for many residents, who opted to stay home from the polls - with only 26 percent turning out to voteTuesday, down from 27 percent Feb. 26. Across the city, turnout was 34 percent Feb 26 and 32 percent Tuesday. Preckwinkle, who in February won five of the city’s predominantly black wards and made a strong showing in the 13 won by businessman Willie Wilson, worked to expand her support base on the city’s south and west sides, centered in her home community of Hyde Park. Ultimately, that effort failed, as even in Preckwinkle’s 4th Ward home, she lost to Lightfoot by a 19 point margin. But Preckwinkle struggled to shake damage from her previous efforts to institute a tax on soda and other sweetened beverages at the county level. A drive down a stretch of 71st Street in the heart of Englewood in recent days showed few Preckwinkle signs marking the major thoroughfare. And Wilson, ultimately, endorsed Lightfoot. A staggering statistic: In wards, including the 6th, 7th, 8th, 9th, 17th, 20th, 21st and 34th, which, according to demographic data, are more than 75 percent African-American, Lightfoot won by a margin of 32 points or more. The predominantly white bungalow belts located on the edges of the city are flush with city workers, and include the Northwest Side communities of Edison Park and Norwood Park, and the Southwest Side communities of Beverly, Morgan Park and Mount Greenwood. They turned out for Lightfoot Tuesday, after previously backing Jerry Joyce, an attorney and son of former 19th Ward Ald. Jeremiah Joyce in February. These areas are vote rich and continue to deliver turnout far higher than the citywide average of 32 percent. The 41st Ward, which had 39 percent turnout, saw 88 percent of voters choose Lightfoot over Preckwinkle. 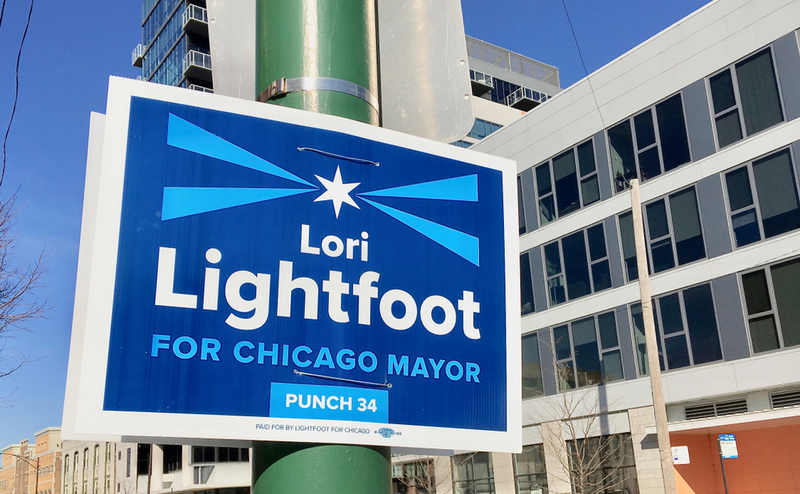 The 19th Ward, which had the city’s highest turnout at 49.7 percent, had 85 percent of voters choose Lightfoot. “Around town, you see Lori signs, she’s been really well accepted out here,” said James “Skinny” Sheahan, a longtime 19th Ward political operative. Sheahan, the brother of former Cook County Sheriff Mike Sheahan, spent St. Patrick’s Day weekend introducing Lightfoot, who presided over the Chicago Police Board from 2015 to 2018, to various residents and stressing that if elected, she’d help rebuild relationships between community members and the police. Lightfoot received the endorsement Joyce and current 19th Ward Ald. Matt O’Shea as well as the city’s firefighter’s union. In her time leading the County Board, Preckwinkle has pushed to reduce pension benefits, but she also raised taxes to fund pensions and has said she would not change them for city workers during recent television debates. Chicago voters also weighed in on a citywide treasurer’s race and 15 aldermanic seats clustered on the North and South sides. For treasurer, state Rep. Melissa Conyears-Ervin defeated outgoing North Side Ald. Ameya Pawar with about 60 percent of the vote, according to unofficial results late Tuesday. If voters supported Lightfoot because they sought a perceived outsider to take over city government, then that attitude carried through in a handful of aldermanic races down the ballot. Six of the 11 incumbents facing a runoff challenge Tuesday were either on the verge of losing their seats or appeared to have lost late Tuesday. Chief among the potentially ousted is Chicago’s second longest serving alderman, Patrick O’Connor, Emanuel’s floor leader. He was trailing newcomer Andre Vasquez, a former rapper who is a manager with AT&T. Vasquez is a member of the Democratic Socialists of America and was endorsed by the city’s teachers union in the 40th Ward, which centers around Lincoln Square. Vasquez was winning with 54 percent of the vote late Tuesday. In the South Side 16h Ward, three-term Ald. Toni Foulkes lost to Stephanie Coleman, who has been working to unseat her since 2015. Coleman is the daughter of former Ald. Shirley Coleman. Coleman was winning with 67 percent of the vote late Tuesday. In the North Side’s Logan Square area, 31st Ward Ald Milly Santiago, who just took the seat in 2015 from longtime alderman Ray Suarez, lost to Felix Cardona, who has worked for the county’s assessor office. Several alderman were clinging to their seats, needing every last vote late Tuesday. In the city’s South Shore area, 5th Ward Ald. Leslie Hairston was close to losing a seat she held since 1999 to anti-violence activist William Calloway. Ald. Deborah Mell, a former state representative on the North Side and daughter of longtime Ald. Richard Mell, was facing a serious threat in the 33rd Ward from newcomer Rossana Rodriguez Sanchez, an education and immigrant rights activist. And along the lake on the North Side, Ald. James Cappleman was neck-and-neck with challenger Marianne Lalonde in the 46th Ward. Cappleman, Mell and Hairston were as close as a few dozen votes away from losing their seats late Tuesday. Voters also sent four new alderman to the city council in open-seat races. In two North Side wards, civil rights lawyer Matt Martin was leading with 63 percent of the vote in the 47th and Samantha Nugent, a former county homeland security executive, was ahead with 55 percent in the 39th. Martin would replace Pawar. Nugent would replace retiring Ald. Margaret Laurino, who held the seat since 1994, following her father’s three-decade run in that office. Two of those four open-seat winners are taking seats left vacant amid corruption scandals. In the South Side 20th Ward, community organizer Jeanette Taylor had a significant lead in the race to replace Ald. Willie Cochran, who last month pled guilty to misusing his ward’s charity fund. In the Pilsen-based 25th Ward, Byron Sigcho-Lopez, an instructor at the University of Illinois at Chicago, appeared set to succeed Ald. Danny Solis, who is leaving office under the cloud of a still unraveling federal probe that has led to charges against Ed Burke, the city’s longest serving alderman who won a 13th term in February’s general election. An elected school board in Chicago might really happen this time. Here's why it's so complicated. Our interactive candidate tracker lets you explore spending power, contributions and expenditures for Chicago mayoral and aldermanic candidates. 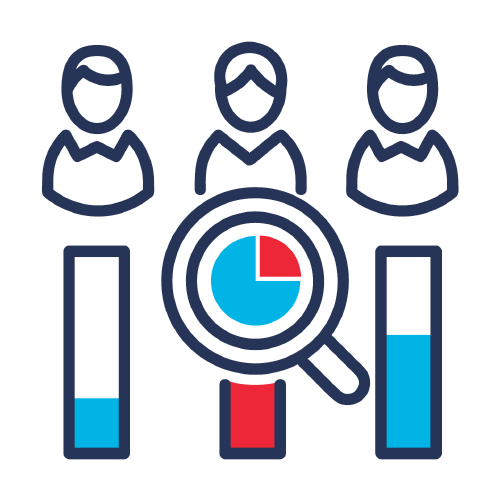 We'll let you know when we publish new analysis reports and add new data tracking features. There was a problem subscribing. Please check your email and try again. We will never sell or share your email address or personal information. © 2019 Center for Illinois Politics. All rights reserved.